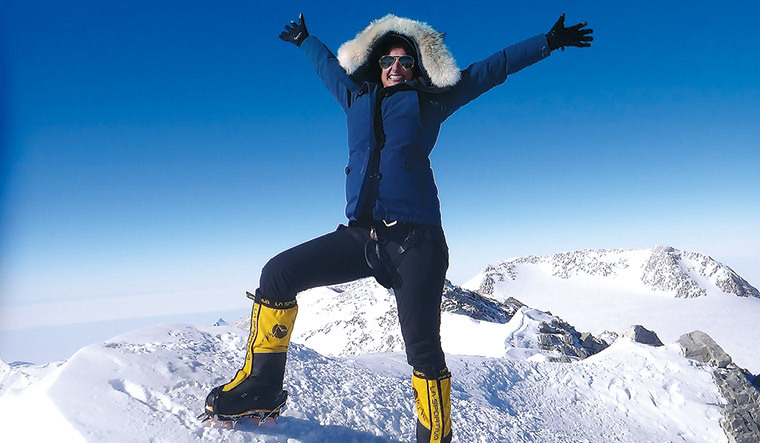 For 32-year-old Raha Moharrak, climbing mountains is not just a test of human endurance, it is more of a means of empowerment, and of inspiring other women. When Moharrak told her parents about her wish to live the life of a daredevil, they were apprehensive. But, on May 18, 2013, the feisty young woman from Jeddah became the youngest Arab and the first Saudi woman to conquer Mount Everest. How has the image of Saudi women changed in recent times? It is amazing where we have reached. From being unheard and unseen, we are now dazzling the world with our achievements in different spheres of life, and the whole world is sitting up and taking note. More than anything else, it is survival that is driving this change. Women were waiting for the opportunity to take up different vocations. They needed to work. And, when they got the chance, they grabbed it. How much of it is because of the campaign that women have undertaken over the years? It is true that women have campaigned for their rights, and it has resulted in the change that we are witnessing. But it is also because of the natural process of evolution. Every country evolves. Saudi Arabia, too, is evolving and responding to the demands of changing times. How significant is the recent development of women getting the right to drive? It is a huge movement forward in terms of women’s participation in public life. It is a major step towards their empowerment, and is changing their lives in a very fundamental way. More women will now come out to work, because mobility opens up innumerable possibilities. I learnt driving a long time ago, but I had a foreign driver’s licence. Now, I can drive in my own country. You describe yourself as a rebel. I was always curious to know more about the world, wanting to see new things and do different things that may or may not be possible for me. That is why I say that I am a rebel. When I say different things, it includes climbing mountains. Did your family have any reservations about your ambition? There were both positive and negative reactions. But I must say that my parents have always supported me in whatever I have done, even if it was different and non-traditional. How empowering was it for you to scale Mount Everest? I was literally on top of the world. It was satisfying as years of hard work had paid off. And, I will be very happy if it inspires more women, including from my own country. How have you influenced women in Saudi Arabia? I have tried to spread the message about sports being a tool of empowerment. Being a sportsperson myself, whenever I get a chance, I talk about the importance of sports. I feel there should be more clubs and places for women to participate in sports. There is so much talent in the country which is waiting to be tapped.